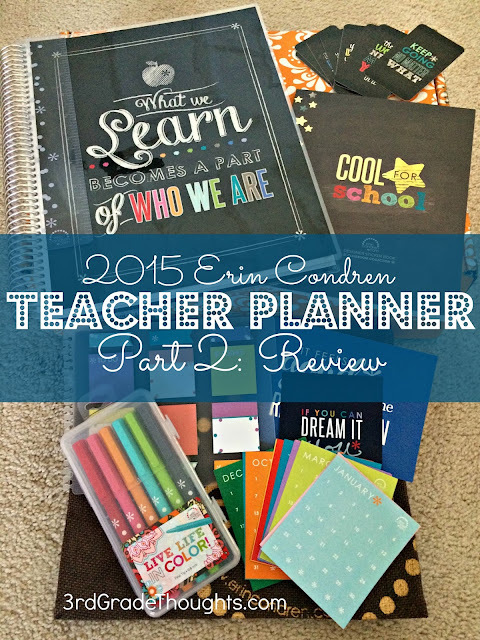 If you haven't had the chance to watch me unbox this year's Erin Condren Teacher Planner, be sure you get started HERE. This video will help explain some of the pieces and parts that are a part of my planner bundle! 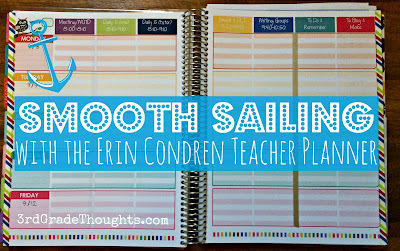 I am so excited to be walking through the 2015 Erin Condren Teacher Planner with you, sharing some of my favorite tips and tricks, and showing you some tweaks to personalize it even more! Ooops! The "Before" pic was taken after I had covered up the months with the stickers. Sorry about that! You can grab the freebie containing both of these files HERE on Google Docs. I mentioned the subject headers, washi tape, and more from last year's planner tips. Because those haven't changed, be sure to head to the original post HERE to see them in action and to pick up your feeebies! For an even more in-depth look at the full line of school products from Erin Condren, be sure to view the Look Book HERE. I'm excited to let you know that there is currently a 25% off sale for these Teacher Planners! Use the code TEACH25 until July 19th! Would you also like $10 off your first order? For a coupon, be sure to sign up through my affiliate link HERE: 3rd.gr/erin_condren. I'll be back throughout the year as more things begin to take shape. Keep you eyes on my Instagram account for updates as I fill in the blanks. Have fun with these freebies and I can't wait to see how you make this planner your own! Disclaimer: ErinCondren.com gave me this planner to review, but all opinions are my own. I only promote what I use and love! Loved watching your video and seeing some of the changes you made to your planner to make it fit your needs!!! This is my favorite teacher planner ever and I love seeing how other teachers use it!!! Isn't it great?! 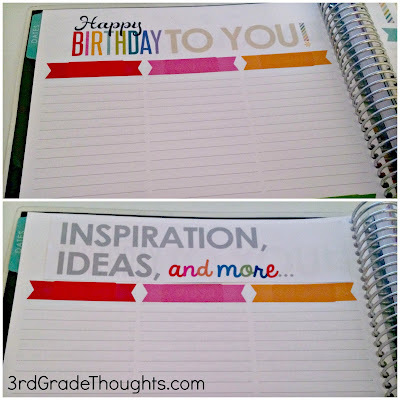 It's so easy to personalize and tweak to make it just right for you and your class :) Happy planning! The differences between the old and new are so minimal, you can still use all of these ideas and be a-ok! I am glad she doesn't change the formatting that much-- I am such a creature of habit :) Thanks so much for your comment and happy planning! I love the personalization. I made my own planner this year because I couldn't find one I loved but changing pages would have been so much easier. I'm going to start colour-coding the edges of my semesters too. Also, have you tried the erasable pens from Pilot (I'm not affiliated with them in any way)? I love them for my planner because they come in lots of fun colours and actually erase. Yes!!! The Frixion pens!! Love them and you're right, they erase perfectly! I ordered my first planner and will admit I was worried. It is a lot of money. However, after seeing this post I feel so much better about it. I now know I can customize it to better fit me and the freebies you put up are great. I am now even more excited about getting my planner in. Thanks so much!!!! That's so great to hear, Lena! I really think you'll love the planner and I'm so glad these freebies can help :) Enjoy!! Are there 3 note pages after each month like in last years planner or just one on the back of the month? GREAT question, Danielle! There is only one notes page on the back of each monthly calendar, not three like last year's. Thanks for asking, since I completely spaced on that change!! I love my Erin Condren Planner and never thought of changing the pages that I wasn't using it. I am bummed that I ordered my new one in May but I am still excited to fill it in! Thanks for sharing your video...it was very helpful! Enjoy. 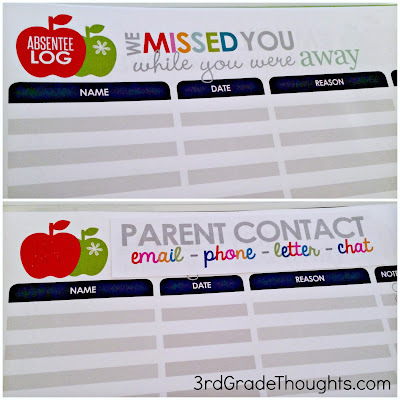 Love, love, love these ideas! I'm waiting on my planner to come next week and I've been wanting to adapt a few things. This is my second one and I really enjoyed using it last year. Will check this blog post out again when I receive it in the mail. I am enjoying taking a peek at all of you great resources. There are so many! You do fantastic work. I especially like the text features scavenger hunt. WOW! So helpful! 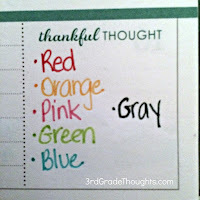 I am so glad I saw this (and your first post about erin condren). Your video was so clear and made everything so much easier to understand. My planner is in the mail. I can't wait to get it and start using some of your awesome ideas! Thank you!!! I bought the EC planner for the first time because of you. I also love the freebies to change in my planner and also the original link to not write the schedule each week! Thank you for the good ideas to make changes to the unused pages and make them useful to fit our needs!!! On the back of each month there is a notes page. I put stickers on them and divide it up by subject-- there's a picture of this on last year's post. Last year there were three pages and this year there's only one. Hope that helps!